At its simplest, Tig allows you to navigate your Git projects from the console (it internally invokes commands to git). It has nearly all of the browsing functionality of Github while readily running locally. 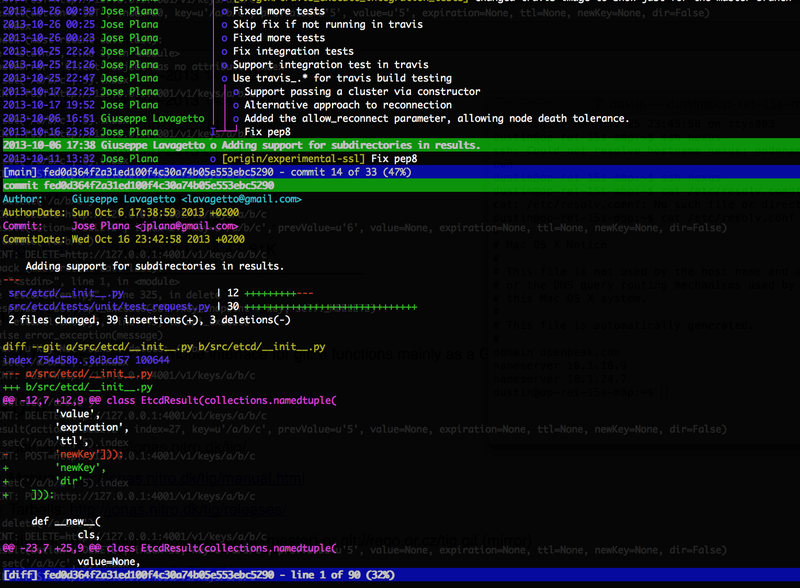 At it’s most-complicated, it looks to be as flexible as Git itself. In the case of piping, you’re really just benefiting by coloring the output and pumping it through pagination. If you’re going to call Tig directly, the experience will be more interactive. The default “view” is the log. I just uploaded a Python tool called “text-prompts” that takes a dictionary, presents a list of prompts to the user, and returns a dictionary.